So the Panthers are done, and being painted. I am working on a bunch of Canadian stuff, as well as my Dystopian Wars fleet. 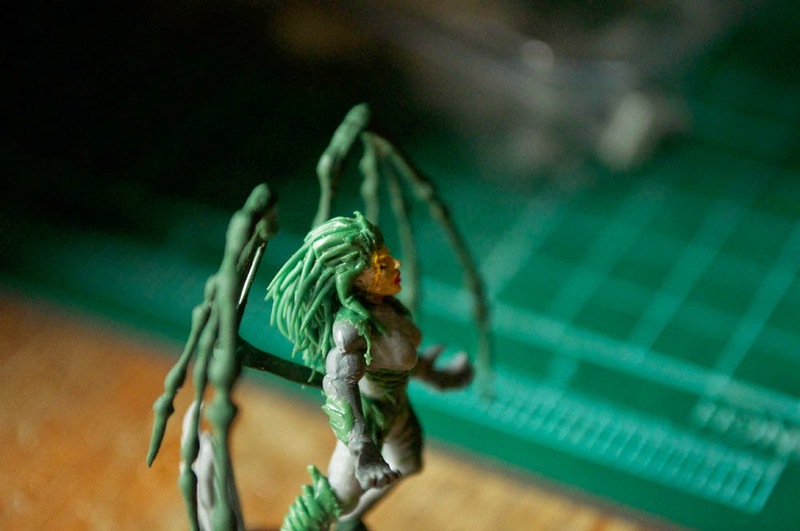 In the meantime, I have finally finished my Kerrigan model's conversion! That said, here's the pictures! As you can see, at first I put on a lump of putty, which was grooved and sectioned. After that I rolled an incredibly thin piece of putty, which I tapered at one end and delicately sliced at lengths. I then carefully stuck them to the first wedge, starting at the bottom and overlaying them as I went. Moving from bottom to top in this way allowed them to naturally overlap, and I did about 1mm worth per run of putty, letting that dry to ensure I didn't mess it up. And here is her hair finished! I found out that before they start going really short and spiky, the hair bits are incredibly long, so the last couple were almost twice the length of the first I applied, and carefully teased out to give a wide look. Her hands are very large, as are her forearms. 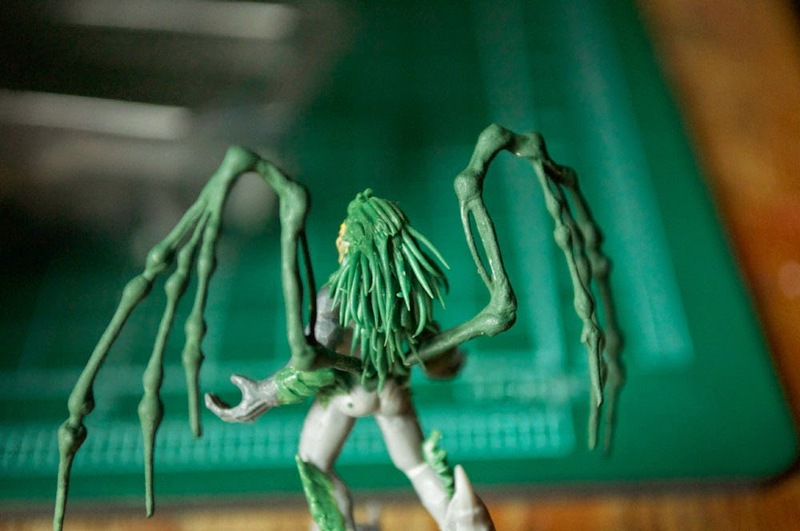 This is an artifact of the arms' origin as the old Dark Eldar's arms. 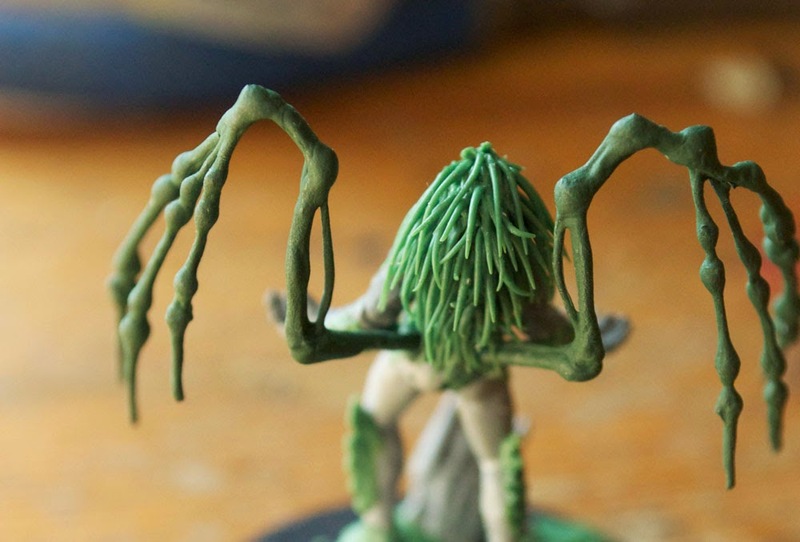 Her hands, at least, are big for good reason, with her talons meant to be an extra join long. I've thinned them as much as I dare, and will try to use paint to hide the issues. You can see the teased look, as well as a pair of blades/fronds/dreads that hang over her shoulders. I don't think I'll make the final model eyes-closed, even though the head I used has them that way. Her glowing eyes are just too important to what helps make her creepy. And finally here's the hair finished, from the back. 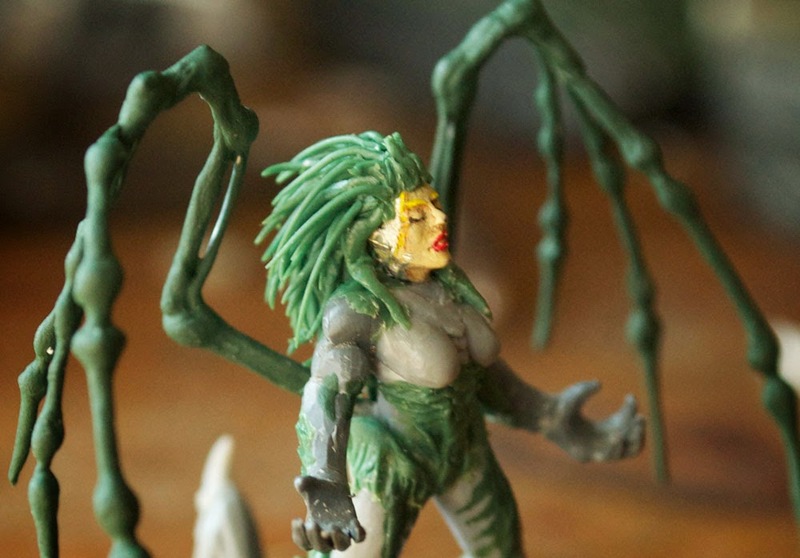 I have teased a few fronds in various directions to make it seem as though they have a bit of life in them.You can also see the back of her hair neatly hides the join of the back blades, which on the 1:1 version had a weird tubular slot, and wouldn't transfer well to model-size. 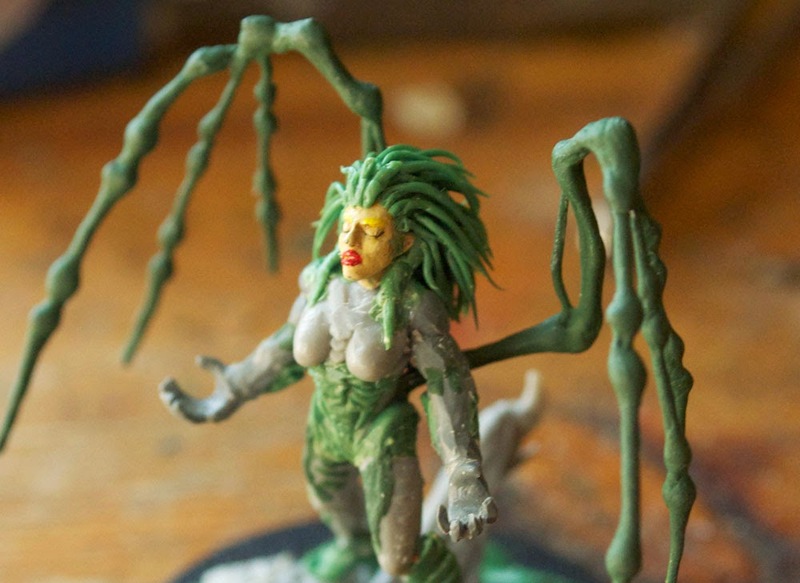 She has since been sprayed black, and the painting for her will take some time because I will be trying to copy her look in-game as much as possible. I'm excited to finally have another 'nerd model' to add to the collection!